If I had to draw one very broad generalization about teachers, it would be that most teachers love school supplies. For me, this might be explained by my obsession with the giant marker and crayon sets. 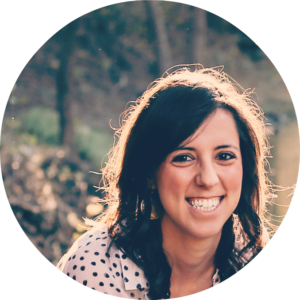 I have compiled a list of my favorite teacher supplies, all priced under $20. 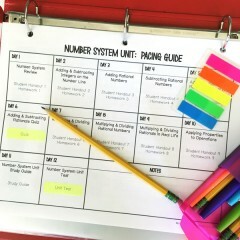 These are all supplies that I have found useful in my classroom, along with some great ideas for incorporating them. 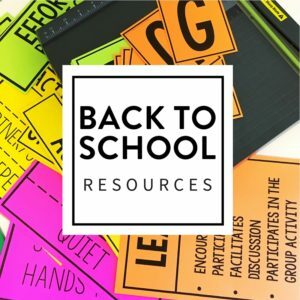 Some supplies you might be able to pick up at Target or WalMart during their back to school sales, but below are Amazon links for your convenience. This handy dandy Paper Pro Stapler is my favorite. It has endured daily abuse use by middle school students for five years. That is 935 days! It opens up easily to punch into bulletin boards and is less likely to jam than others. It makes a pretty loud pop when it staples, which provides some entertainment to new users. Clipboards are the perfect teacher supply- cheap and with multiple uses. 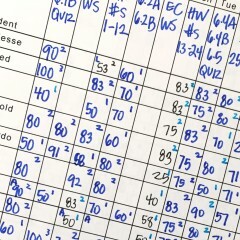 I always loved having one that held my grade sheets and seating charts at my desk. You can utilize wall space by hanging them around the room. Next to the door, I hung several for the following purposes: tutoring sign in sheet, tardy sheet, and fire drill/emergency documents. A teacher can never have enough dry erase markers. If you have PTA money or any sort of school funds, I would recommend spending it on markers. Then, ration them throughout the year so that come May, you are not left high and dry. I kept several boxes for my use on the white board and then utilized the remainder for student whiteboard use. 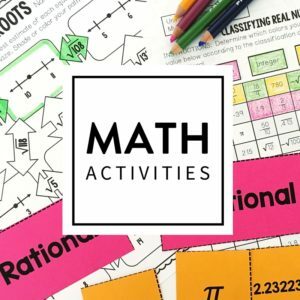 As a math teacher, I loved using student whiteboards to formatively assess, play games, and in general, just make practice a little more interactive. These are some of my new favorite markers! 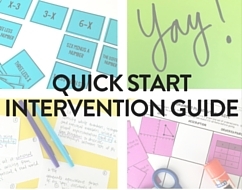 If you make anchor charts and haven’t used them, you are going to fall in love. Not only do they have a great bullet tip, but they come in great colors. They don’t leak through the page either. I keep these markers under lock and key because I love them so much! Post-it notes are kind of a given, but I want to challenge traditional post-it note thought. Have you tried the full back sticky? These are perfect for labeling things, and sticking to the walls, and they aren’t going to lose their “sticky” after a humid weekend with the air off. 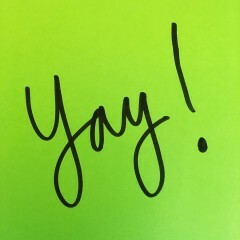 Another favorite item that is great to have on hand is colored card stock. It’s so versatile and so nice to have an extra pack or two. I use these for the following: task cards, classroom management cards, I Can Statements, letters and posters, decorations, dividers in my binders, and in general, to brighten things up. I have already shared my love for binder clips in my Teacher Organization post, but I wouldn’t be doing them justice if I didn’t include them here, as well. These clips are perfect to have around the desk and make clipping 150+ papers together a breeze. My sister introduced me to the greatness of magnets. Attach something to your filing cabinet or hang papers on the white board. You don’t have to use tape and make a mess, and they can easily be rearranged or taken down. I mentioned using wall space to hang clipboards, and this wouldn’t be possible without the joy of command hooks. They are perfect for keeping things organized on the walls without upsetting the custodial staff. I also used the giant hooks to create a place to hang my purse and scarves in the cabinets. You can use them to hang task cards or any other ringed item. 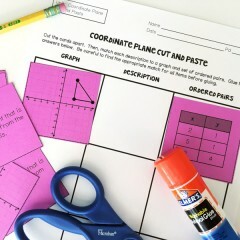 Confession: I taught math and still loved the EZ Grader. Sure, you can use your phone, but if you are like me, then you are likely to set it down and not be able to find it again. I love having a small timer up near the document camera to keep students on track and class moving along quickly. At the beginning of the year, buy a box of gallon-size and sandwich-size ziplock bags. Keep them tucked away in your cabinet. You will be surprised at how many times you use them and how glad you are to have them on hand. I personally used them most often for keeping card sets together. I loved using plastic caddies in my classroom. 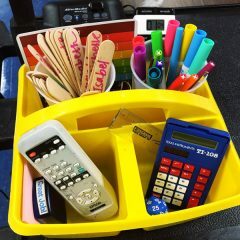 I used them for group supply boxes, to hold classroom supplies, and to hold my personal supplies. I totally recommend the ones with locking lids! I know they are pricier, but at least for ones that are handled by students, this is a must! If you are looking for a cheaper version, I loved these from the Container Store. They stack so neatly, are sturdy, and are fairly inexpensive. My love for bins is pretty much never ending. 😍 My requirements include: locking lid, beautiful label, and stackable. 💯 These are from Amazon along with the lovely @target dollar spot labels. | Link in IG profile. Clorox wipes, a must have necessity. 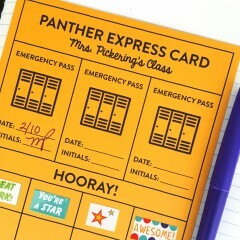 I loved using stamps and stickers for praise within the classroom. I know it sounds so cheesy, but let me tell you, even middle school students loved it! As they worked in groups, individually, on the warm up, etc., I would circulate and stamp pages. Sometimes it would be for the right answer, and sometimes it would be for those who were working hard. You would be shocked at how students would ask for the stamps and be quick to call out if they got missed. Great smelling ink is a bonus! I love glue dots for labeling things. It’s much less messy and more sturdy than tape. A great second to glue dots is a glue gun. Jazz up your whiteboard and other items around the room with colored tape. I used it to create an agenda board and to keep my word wall organized. I love using file folders and had to recommend this sleek black chart. You could place it by your desk or use it as a makeup work system. There are always bright and cheery file folder packs at Target that are pretty cheap to pick up. Dice are a great tool to have in the classroom. 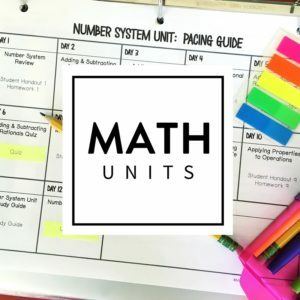 Not only can you use them while teaching probability and statistics, but you can use them to call on students, practice quick math, and spice up a worksheet. Plus, they are quiet. Below are two other items that I don’t think I could teach without. In fact, when I moved to a district that still had overhead projectors (not even kidding), I went out and bought my own. There are lots of fancy features to document cameras, but in all honesty, I think it is mostly used to model, whether that be working a problem, dissecting the text, or showing how to complete an activity. I seriously used my document camera almost daily. I realize that being a teacher really adds up! Many of you purchase not only teacher supplies, but student supplies, curriculum resources, and other various items to keep your students engaged and learning. You buy lunches, participate in school fundraisers, pay for jeans days, and donate for student gifts at the holidays. You do this because you care, you are amazing! I love this post! I use so many of these things daily. One suggestion: If you want to avoid buying the EZ-grader, there’s a FREE app on the iPhone that does the same thing! It’s called the Groovy Grader. So great! Thanks for sharing Stephanie. What type of music do you use in your classroom ?